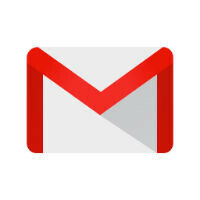 Gmail for Android is receiving an update that will add support for rich text formatting. With this feature, you will be able to add bold print, italics, colors, underlines and more to your outgoing email. The result is a message that will stand out from the rest. RTF has already been available on the web based version of Gmail, but this update brings RTF to mobile. The other part of the update gives users a way to respond to invitations from Google Calendar or Microsoft Exchange, quickly and painlessly. The Instant RSVP feature allows you to see your schedule, check for conflicts, and respond to the invitation all with one tap. The update could hit the Google Play Store as soon as today. Open the Play Store app, tap on the hamburger menu in the upper left corner, click on My apps & games, and look to see if the update has arrived. If not, it should be there soon. Nice, might go back to Gmail. Started using Outlook and liked it alot. Why is gmail getting an update?? Why are they keeping this and inbox? Weren't they moving everyone from Gmail to Inbox?